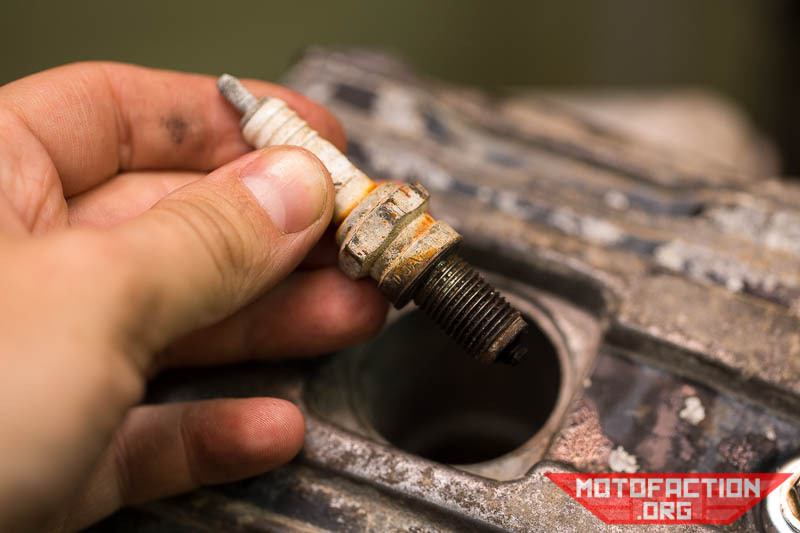 Is there an abnormal clunking noise coming from your engine? One of the causes might be a blown big end bearing. 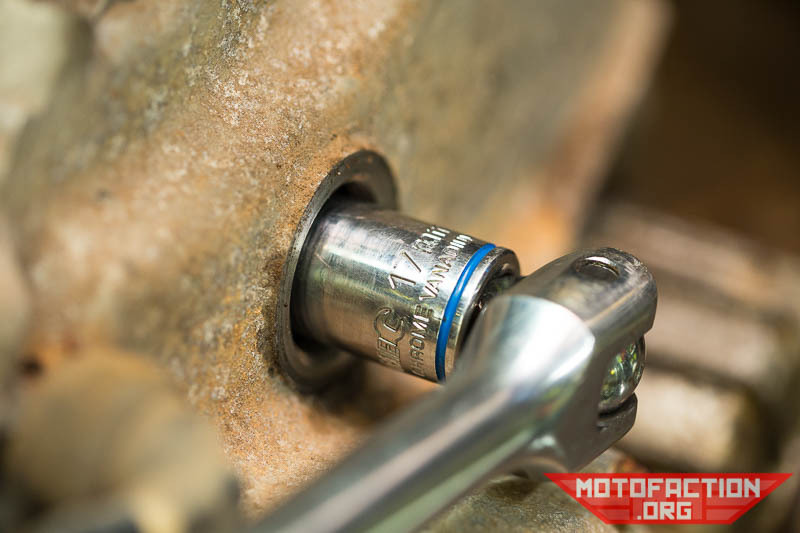 The big end bearings are the bearings between your crankshaft and conrods (connecting rods). 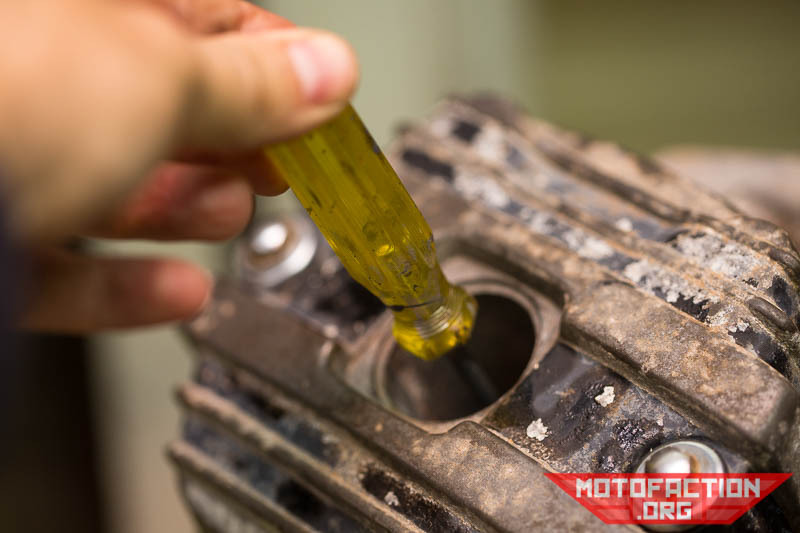 The gap between the bearings and the crankshaft is measured in the thousandths of a single millimeter - an amount that should not be able to be felt were you to try to move one against the other. There should be zero movement when you push down. 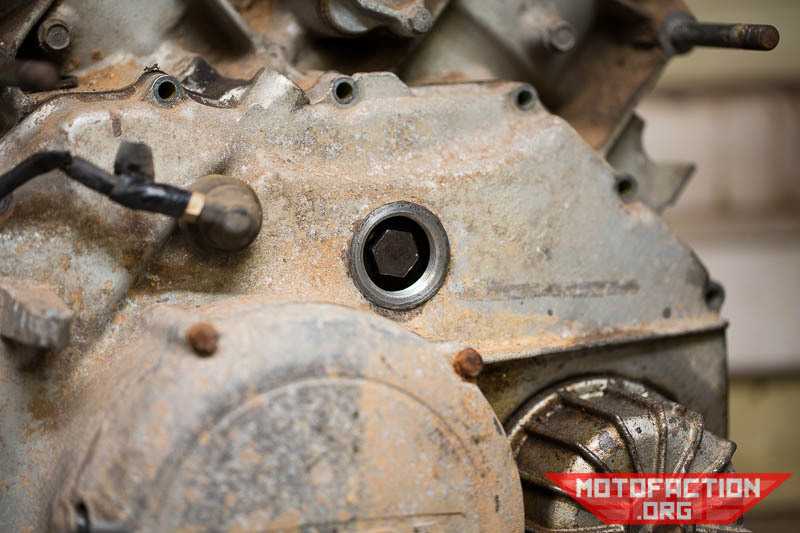 If there is an audible clunk noise and/or the screwdriver moves enough that you can feel it (and presumably isn't moving the piston if your motor is a tiny motorcycle one) then there's a good chance that your big end bearings are damaged. No movement at all doesn't necessarily rule out bearing issues, but this test does help confirm a suspicion. 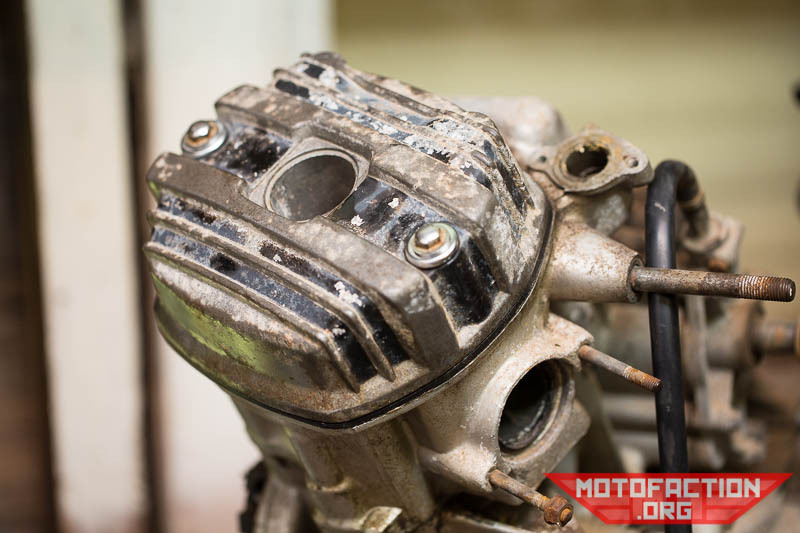 Repeat the process for each cylinder that your engine has - fingers crossed they're all OK!